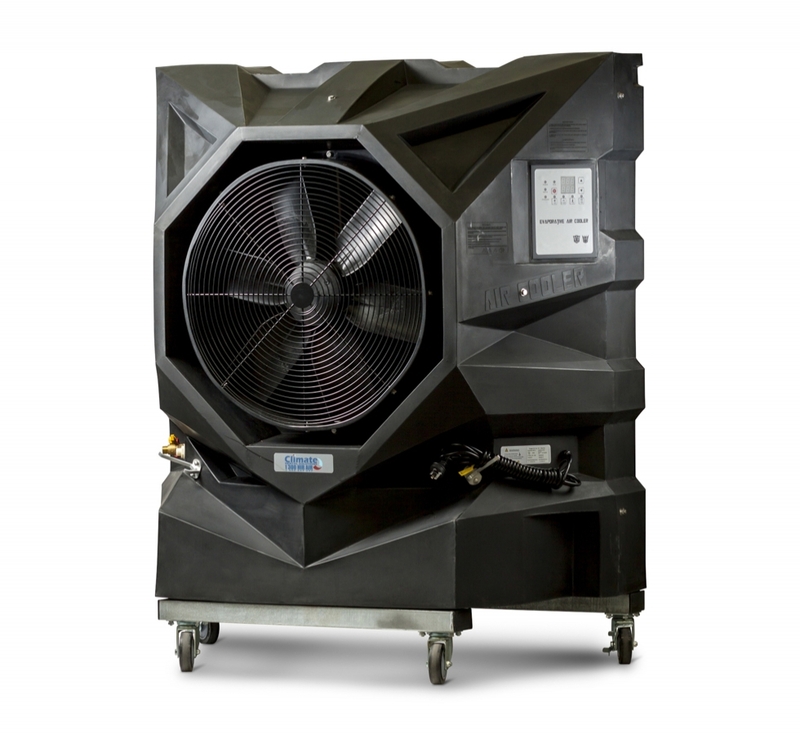 The MEC 12 Mobile Evaporative Cooler provides up to 12000m3/hr of cooling. The MEC 12 Mobile Evaporative Cooler provides up to 12000m3/hr of cooling. It comes with a fully adjustable fan, strong lockable castor wheels and can be run with or without the cooling mode activated. The MEC 12 has a large water reservoir, so if you do not have access to a continuous water feed, you will able to get hours of operation before the unit requires topping up. This unit operates from a standard 10 amp power supply.